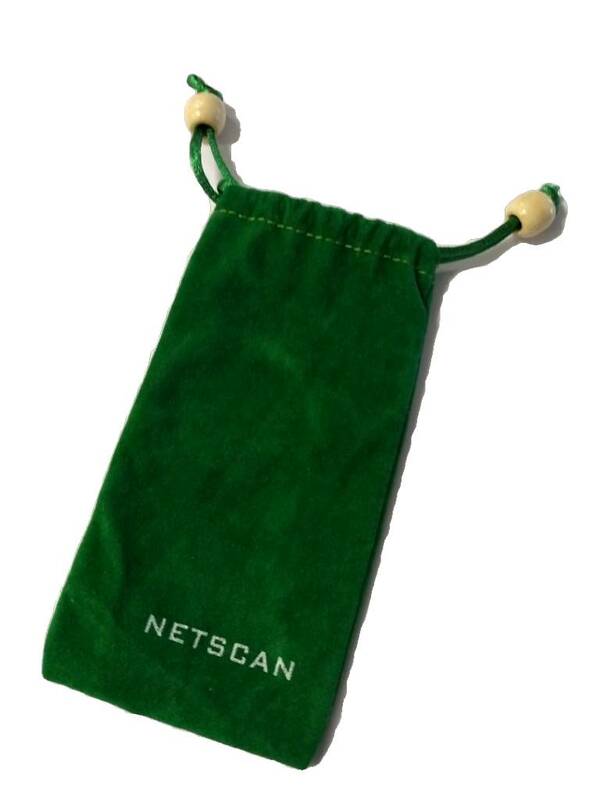 The Netscan Tennis Net Check is an elegant way to measure any tennis net's height. 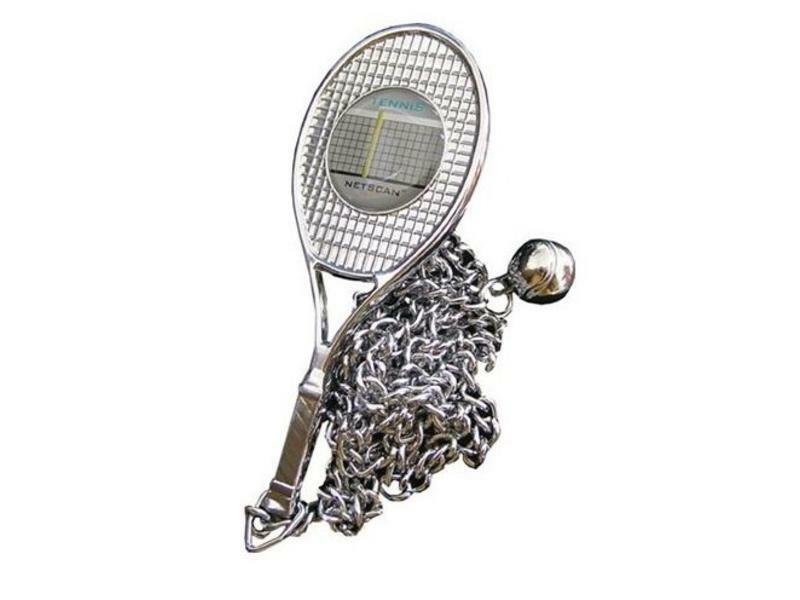 The tennis racquet has a hook on the back which is placed on the net. 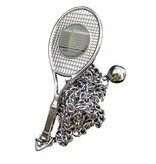 The ball and chain hang from the racquet. 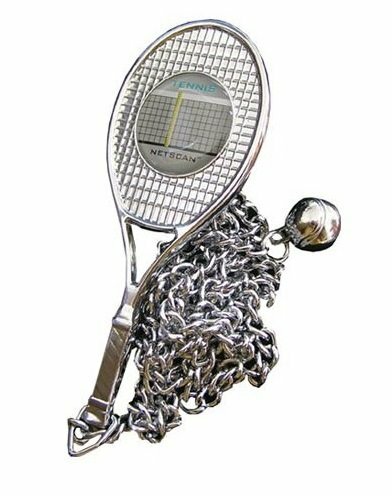 The ball is supposed to be barely touching the ground with no slack in the chain for the correct height. 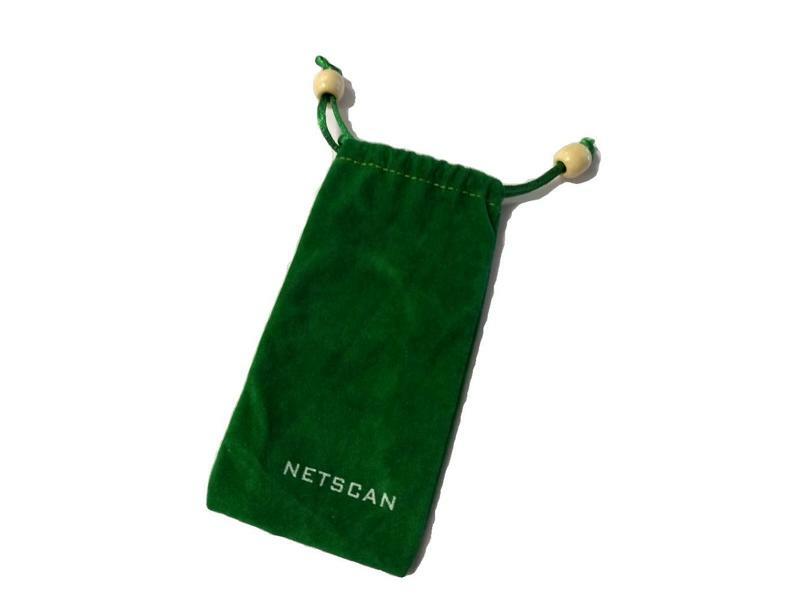 This net check enables you to adjust the net while watching the slack disappear, providing you with the exact height of 36" desired. 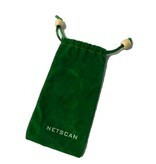 Comes with a soft green felt baggie for easy storage. The net check itself is constructed of metal and an acrylic logo.